Marketing spend is one area that you shouldn’t skimp on – after all, your allotted marketing budget determines how much you can advertise, what strategies you can implement, and overall, how much brand awareness and revenue you drive for your company. If you made the smart decision to spend a portion of your budget toward improving the digital presence of your business with search engine optimization (SEO) and search engine marketing (SEM), it’s money well spent – however, you should also consider conversion rate optimization or CRO. Regardless of how well-designed your website is, you can always improve the conversion process to be simpler and more straight forward. Doing so makes it more likely for visitors to turn into customers, which leads to higher sales for you. It’s important to keep in mind that you’re not necessarily optimizing your site for all visitors, but for the right type of customers. You should focus your efforts on those who will benefit from your product or services. CRO is important because it’s based on traffic you already have. You aren’t spending money on getting potential customers to your site because they’re already on it. Your efforts are directed toward those who are already on your site. And it is much more cost-effective to convert current visitors on your site than attract new ones. Does good SEO mean good CRO? Unfortunately, no. Understanding that SEO is a customer acquisition strategy for your business is important but you must also make sure that your website is set up for success with easy to identify conversion opportunities to capture leads or close sales. SEO focuses on driving traffic to your website, while CRO helps you identify how to capture those leads or sales. These two services work hand in hand and it’s recommended to integrate both in your marketing plan. Having only one service is the same as owning a paddle without a kayak. You may be prepared to navigate those waters but you need the kayak to get the full experience and enjoy the ride. Most businesses will hire a company that can perform a CRO analysis, or website audit, to determine exactly where they need to start with their campaign. Companies that provide these services will review your entire website and pinpoint troublesome areas along with recommendations for improvement. You can also test different variables on your website to determine what works to your advantage in the conversion process and what doesn’t. You can focus on things like the color and/or copy of your CTA buttons, headlines, the location of images, and much more. You never know when a change as simple as a yellow CTA button instead of a green button will boost conversions! Below are a couple reasons why businesses don’t have as high of a CRO as they could. Keep these in mind as you design your website in order to avoid unintentionally decreasing your CRO. The branding of your business should be consistent throughout all marketing channels. Does your advertising and acquisition strategy match what is currently on your homepage or the landing page of your campaign? If these two things don’t match, you’ve already identified one area to improve. If you are advertising the answer or solution to someone’s problem, it’s important that your website provide the answer or the next step in finding that answer – otherwise they’ll leave for business that does. A call-to-action, or CTA, is something that you can use on your website to get users to take the next step in becoming a customer. 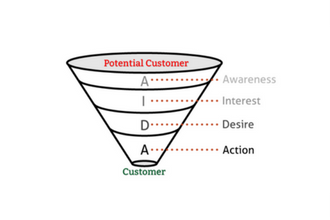 In any instance, a CTA should send visitors further down the conversion funnel. When a visitor lands on one of your pages, it should be clear how they can buy your product or contact you. On the flip side, do you have so many calls to action that visitors are overwhelmed and take no action? Keep in mind that numerous CTAs on a page is okay, and it’s encouraged – just make sure there is some variety. User experience is one of the algorithms Google uses to rank your website in search engine results, which makes it extremely important. Google wants to see that you are serving users not only good information, but a great user experience as well. This means that you have a navigation bar somewhere on your page so that visitors know exactly where to go for whatever they’re looking for, images and graphics that break up text, and an aesthetically pleasing design. So, why is CRO as important as SEO? The main takeaway is this: If your points of conversion aren’t optimized, you’re not going to encourage anywhere near the number of people you could to convert and become customers. CRO and SEO are similar in the sense that both concentrate on part of the optimization process. SEO emphasizes visibility and making sure your business stands out and ranks highly. On the other hand, CRO gives its attention to the actual point of conversion that leads a visitor to become a paying customer. CRO is as important as SEO because not only are you increasing sales through conversions, but you’re also using a cost-effective method to do so. The traffic you’re focusing on is already on your website, so you don’t need to spend additional funds attracting them. How has successful CRO made a difference for your business? Have you experienced how CRO improves your business? Do you agree that CRO and SEO are equally important to each other?